Steampunk is a science fiction subgenre that takes place during a neo-Victorian age. It's a speculative fiction imagining a world with technology that still relies upon the power of steam. The standards of steampunk are derived from the works of H. G. Wells, Jules Verne, Mary Shelley, Philip Pullman and China Mieville. 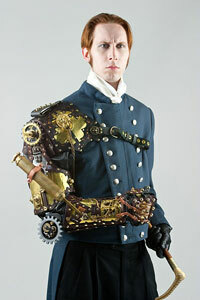 Steampunk is also a design aesthetic. From computers to jewelry, everything has been "steampunkified" with extra brass, bronze, gears and clockwork. 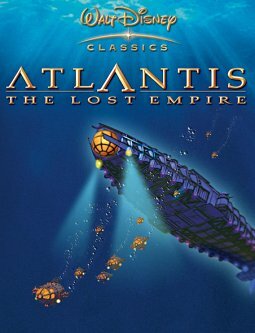 Examples of works of fiction include the comic book series League of Extraordinary Gentlemen, the Disney animated film, Atlantis: The Lost Empire, the Anime series Fullmetal Alchemist and the roleplaying game Space: 1889. Some, such as the comic series Girl Genius, have their own unique times and places despite partaking heavily of the flavor of historic times and settings. Since the 1990s, the application of the steampunk label has expanded beyond works set in recognizable historical periods, to works set in fantasy worlds that rely heavily on steam- or spring-powered technology. Fantasy steampunk settings abound in tabletop and computer role-playing games. Notable examples include Skies of Arcadia, Final Fantasy VI, Final Fantasy IX, Rise of Nations: Rise of Legends, and Arcanum: Of Steamworks and Magick Obscura. Events from around the world, excluding weekly club events. Upcoming events will be adding in the near future! In addition, there are a few books written on the topic of steampunk. Ottens, Nick (2008). "The darker, dirtier side". Archived from the original on 17 July 2011. Retrieved 2008-05-18. "FEATURES: Steaming Celluloid". Matrix Online. 2008-06-30. Retrieved 2009-02-13. Strickland, Jonathan. "Famous Steampunk Works". HowStuffWorks. Retrieved 2008-05-18. Gareth Branwyn (06.18.07). "Steam-Driven Dreams: The Wondrously Whimsical World of Steampunk". Wired.com. Retrieved 2011-01-02. "While the world of H.P. Lovecraft's horror is not exactly the same as that envisioned in steampunk, there's plenty of leakage between the two..."
Damon Poeter (2008-07-06). "Steampunk's subculture revealed". San Francisco Chronicle. Retrieved 2008-09-08. "Anno Dracula (Anno Dracula, book 1) by Kim Newman". Fantasticfiction.co.uk. Retrieved 2009-02-13. "Review: China MiÈville's Perdido Street Station, reviewed by David Horwich". Strangehorizons.com. Retrieved 2009-02-13.